If your idea of the perfect vacation involves a body scrub or hot stone massage, our spa selections have you covered! Come experience the coolest spa in Jamaica for perfect spa getaways. 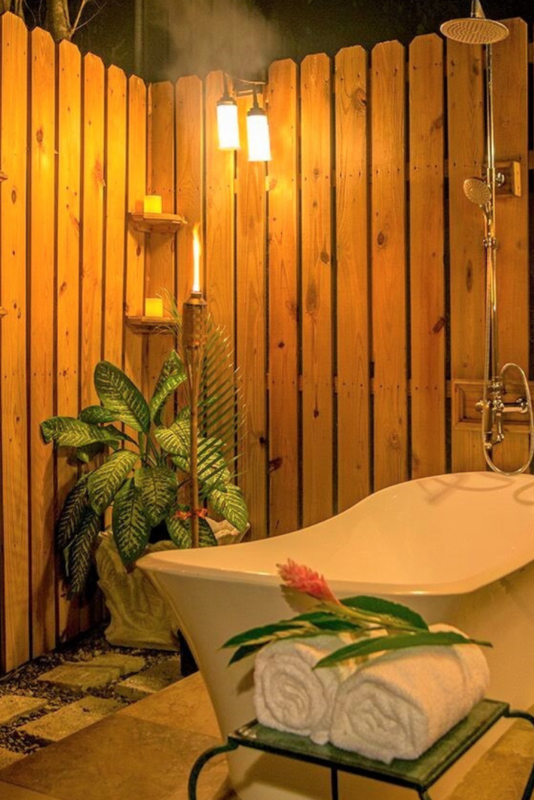 Organic all-natural spa ingredients are a given at our Jamaica spa retreat. By eliminating many pre-manufactured products we share with you Jamaican traditions and natural ingredients to help you achieve real wellness. Imagine the absolute pleasure of having spa services in the privacy of your own Jamaica villa rental, where no outside guests are allowed. That is the spa at Mais Oui. 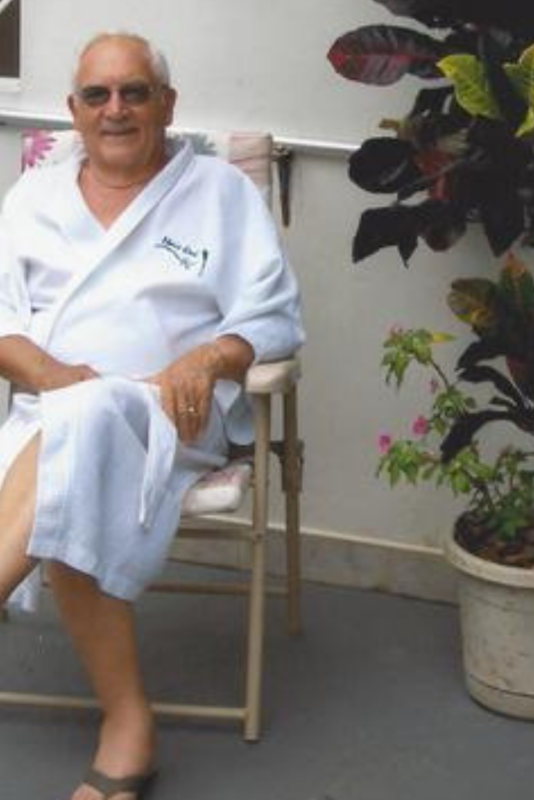 Expert spa therapists come to the villa by appointment. No need to drive to a resort spa . . . Simply walk from your room to the spa. Treatments are customized to the needs of each guest. Signature spa baths, massages (Swedish, Aromatherapy, Hot Stone) and body treatments are our specialties. Experience the most relaxing and beneficial spa treatments ever! our rooftop terrace. Plus, experience our newest addition . . .
the best outdoor tub in Jamaica … neatly tucked away in our gardens. Savor a soothing spa bath along with a massage or body treatment. Bliss! 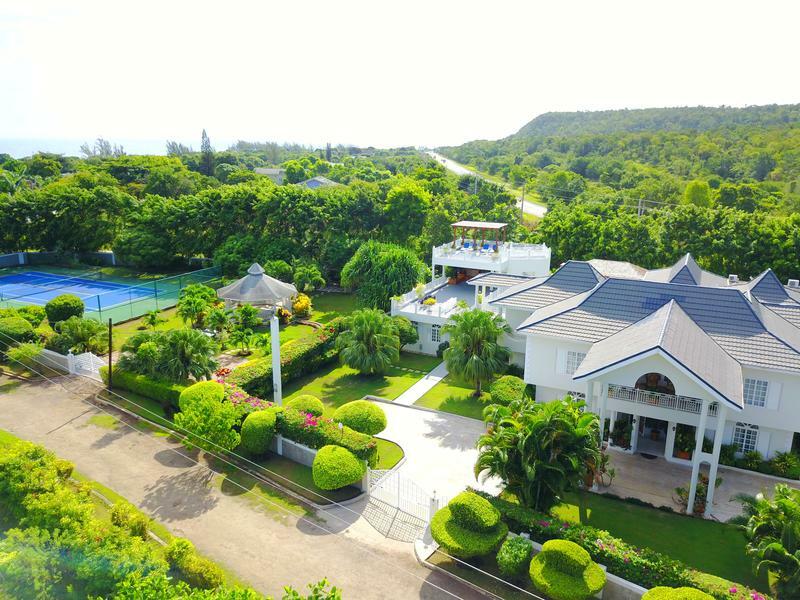 luxurious Jamaica villa accommodations combine with culinary delights, fun-filled activities and a wonderful array of relaxing and holistic spa treatments to create the perfect Jamaica spa escape for your group. 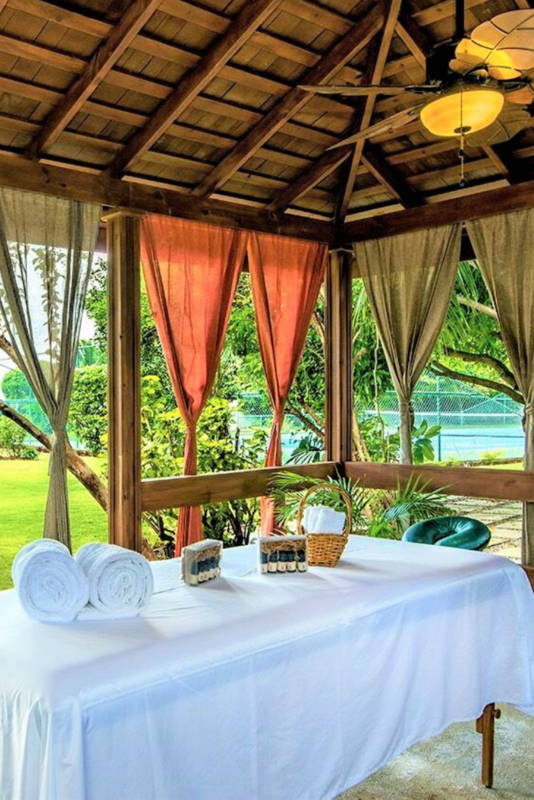 Plan a visit to Mais Oui’s Spa in Jamaica! We make it easy for you . . .
Montego Bay, Jamaica. We handle the rest! Nine of us had the wonderful opportunity to use the spa on Christmas Day. We were so appreciative that they sacrificed their Christmas to make ours so amazing. The two masseuses were fabulous and having a massage in the outdoor breeze and gorgeous facilities was incredible. Everyone said it was the best massage they have ever had. Thank you for making it available for us! Signature spa baths, massages (Swedish, Aromatherapy, Hot Stone) and body treatments are our specialty. Spa therapies are available exclusively to guests staying at Mais Oui and are by appointment only . All spa services are subject to availability of facility and therapists. Please advise us upon booking spa services of any health conditions, allergies, or injuries that could affect your experience. 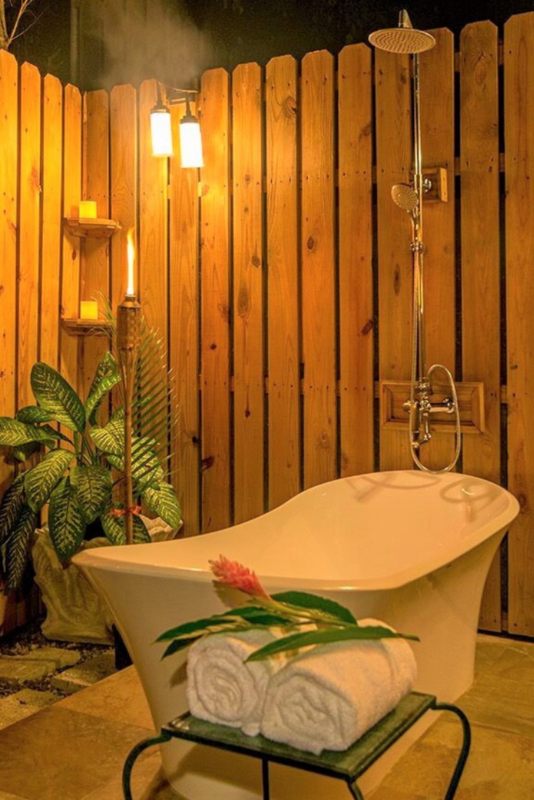 Create your own destination spa getaway in Jamaica at Mais Oui!